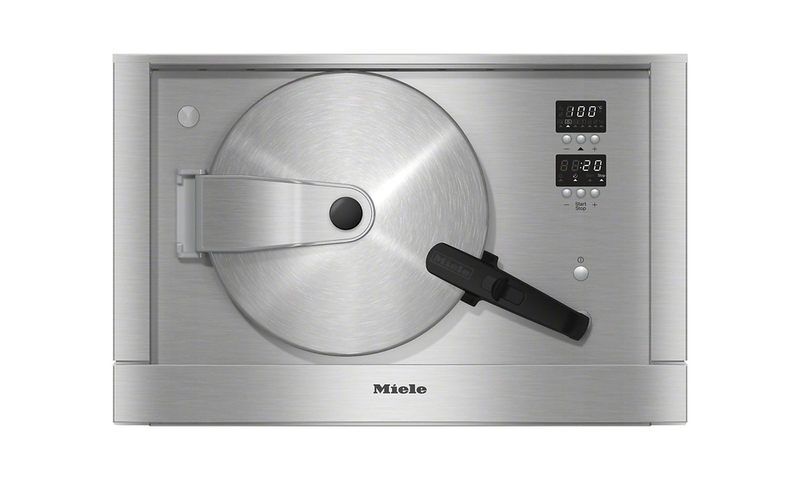 In a similar way to pressure cookers on the hob, Miele’s built-in steam oven can cook food at high temperatures under pressure. The temperature range from 101 - 120 °C is ideal for quickly cooking robust vegetables, many different kinds of meat and pulses in up to half the time it takes when cooking without pressure. Steam-cooked vegetables retain 50% more vitamins than those boiled in water.